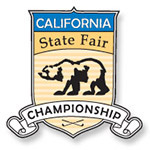 The Sacramento Golf Council (SGC) presents the 2018 California State Fair Men's Net Championship at Ancil Hoffman Golf Course on September 1-2, 2018. The tournament is open to all male amateur golfers, age 18 and older, who are members of an organized golf club with a current 2018 GHIN Index between 2.0 and 25.0. Players with a handicap of more than 25 are welcome, but will compete with a handicap of 25. NCGA handicap indexes for August 15, 2018 will be verified by the tournament committee using the GHIN system. The SGC will use the lower of each player’s tournament index or regular index per SGC guidelines. The tournament format will be 36 holes of stroke play over two days using full adjusted tournament handicaps. A tie for the low net overall champion will be decided by a sudden death playoff. All other ties will be broken and winners decided by the recommended USGA method of matching scorecards. The entry fee is $128 per player and Includes all green fees, prizes and awards - power carts not included. Deadline for entry is August 23, 2018, and there will be no refunds after this date.